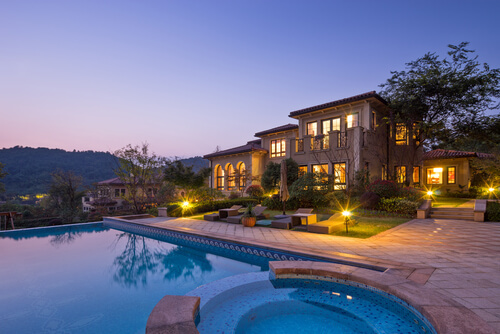 If you’re in the market to buy a luxury home, it’s time to research how the process works. What exactly makes a luxury home? Is it simply the price tag? The luxurious granite and stonework finishes? The views? Well, the answer is yes to all of the above, with some other honorable mentions, as well. However, buying a luxury home requires a bit of homework, finesse, and planning, which is why we have compiled a home buying guide to help you in your search. Once you’ve chosen your new residence, be sure to protect your assets and property with a custom-tailored Ann Arbor High-Value Home Insurance policy. Tap into the network of a recommended realtor or broker with a specialty in the local, high-end market. Find an agent with the credentials and experience in the local market that can advise on schools and nuances to neighborhoods as well as the property specifics, recommends HGTV. Further, note that some sellers are keen on their privacy so they refrain from posting a lot of photos. Hone in your top picks and have your agent line up a time to see them in person. The process of evaluating a high-end home is more tedious than that of a traditional one. Expect to be there a few hours to inspect the architectural elements, security operation, building methods, and other features. Remember, these are all the components that make it luxurious, so take the time to examine its distinctive features. This is also where an experienced realtor comes in handy. Different cities require different disclosures to be made to the potential buyers, so ask about these before deciding. Buyers of luxury estates should be readily prepared with the proper documentation and income statements to justify their purchase. “Sellers of luxury homes will typically ask their realtor to bring them only qualified buyers. This can be different than the typical mortgage prequalification process and could require showing asset statements and demonstrate which assets will go toward the purchase,” explains Virginia Cook of Virginia Cook Realtors in Dallas. For especially competitive markets, be prepared to show liquid assets and timely mortgage payments for at least the past two years. With the help of your real estate agent, you can make a competitive offer that reflects the home and its value. As sellers of luxury homes often have the finances to decline less-than-perfect offers, be sure to get a detailed appraisal of the home from your experienced agent rather than relying on public sites such as Zillow or Trulia.